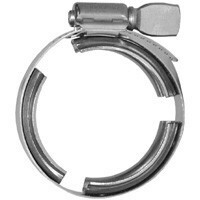 # SAN13WGC100-150 - Dairy Clamp - 1 in. - 1-1/2 in. 304 Stainless Steel. Not Supplied With Gaskets. Size 1 in. - 1 1/2 in.